Each month the Office of Residential Programs awards outstanding staff members for their hard work and dedication to the students of Hofstra University. For the month of October, here are our winners! RA of the Month Brianne Richards. Brianne works in the Netherlands complex in Leiden House. Since opening, she has been so invested in her position, her residents and making her house the best possible community. She consistently goes above and beyond in every area of the job; especially in building community among her residents and serving as a support/resource for the other staff members. 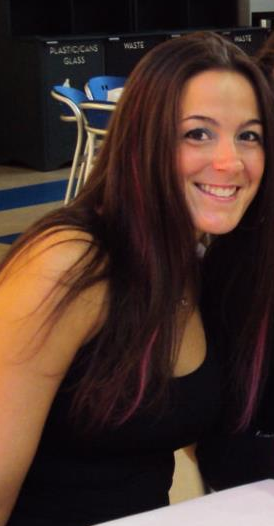 Brianne has assisted residents in meditations,helped them communicate their problems with friends and suitemates. She has shown great judgment and responsibility in her role as a leader for first year students. Senior Resident Assistant of the Month: Candace Zito. 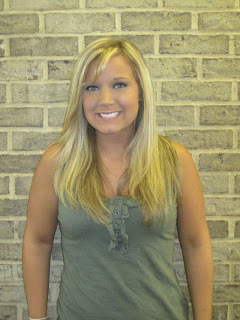 Candace is the Senior Resident Assistant for Bill of Rights Hall. Candace is always on a positive note at meetings and programs. She will interject points of how great the staff is doing in one area and then point out an area where improvement is needed. Candace has been great about mentoring her staff so they are learning to have an action plan before they call her with a question. Her staff has grown tremendously in their confidence and ability to handle situations thrown their way because of her mentoring abilities. Program of the Month: Timothy Clark and Rebecca Gianarkis. 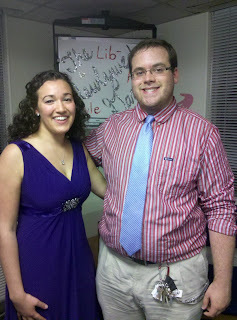 Tim and Becca work in Liberty/Republic Hall and are a great programming team! They played "The Newlywed Game: Lib/Rep Style" with the students. This event was great because it got a large number of people to interact from all over the complex who may not have interacted with each other. The game paired roommates, couples, or friends off and they competed against other pairs to see who knew the most about each other. During the breaks of each round, HUHC faculty member Dr. Holly Seirup provided unique facts about college students. Tim and Becca did an extra special job by decorating the lounge and really making it feel like a game show.